Your final project is an impressive oval plaque. 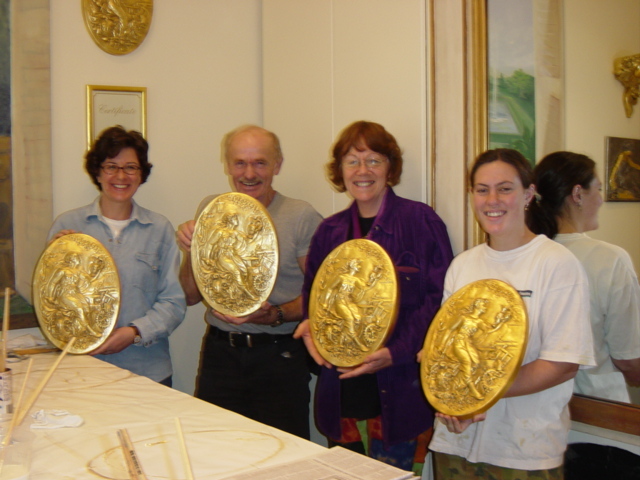 Learn how to apply Faux gold leaf, seal it for durability and add patina to make the plaque look 100 years old in a few minutes. Useful technique for picture- and mirror frames and furniture etc. Only six students per class. Learn how to apply Faux gold leaf, seal it for durability. Add patina to make the plaque look 100 years old in a few minutes. Our beautiful studio in Surry Hills, Sydney. on Tuesday evening from 6pm-10pm. 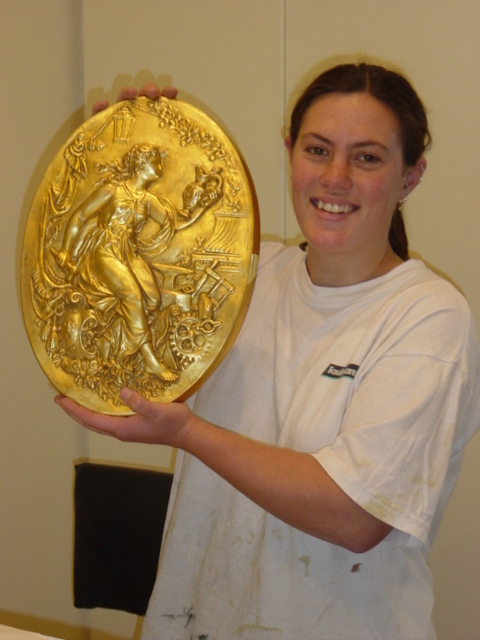 Watch a short video of Discover Gilding Workshop from Channel 7’s Sydney Weekender.